For many citizens of the United States, no single animal exudes a greater sense of pride and patriotism than the American Bald Eagle. 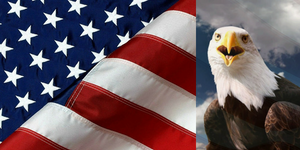 The image of the eagle adorns our currency and other government seals and is symbolic of the United States. For many years the Bald Eagle numbers were dwindling due to poachers until it was added to the endangered species list from which their numbers have rebounded and continue to thrive. The first American Eagle Day was proclaimed in 1995 by then President Bill Clinton. 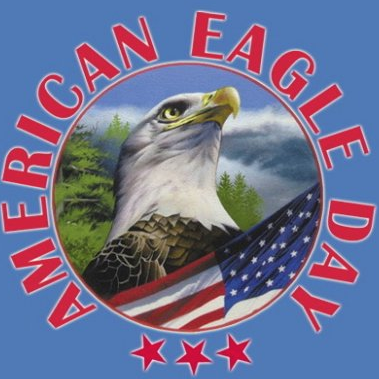 In 2007 onwards, the United States Senate passed a resolution to mark June 20th of every year as American Eagle Day. All of this was driven by a little known organization in Tennessee called the American Eagle Foundation. The American Eagle Foundation (AEF) is a 501(c)(3) charity organization whose mission is to care for and protect the USA’ s living symbol of freedom, the Bald Eagle, and other birds of prey through the four pillars of Education, Re-population, Conservation and Rehabilitation. Since 1992, the AEF’s Captive-Breeding and Hacking programs have resulted in 145 young Bald Eagles being set free into the foothills of the Great Smoky Mountains in East Tennessee from an artificial nesting tower. The AEF supports Bald Eagle conservation around the country by issuing nearly $100,000 in Bald Eagle Grants annually. Challenger the Bald Eagle has been a catalyst for spreading awareness about Bald Eagle conservation. Traveling coast to coast, Challenger inspires millions of Americans through live news broadcasts and free-flight demonstrations and appearances at major league sporting events, conventions, and schools. On this day dedicated to an animal icon for the whole United States, we salute the AEF for their dedication and commitment to this magnificent animal. The members and supporters of the AEF are true animal rescue professionals and we celebrate their commitment to our feathered friends.